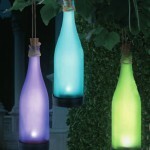 Home »EXTERIOR LIGHTING»Get Garden Ready! With summer just around the corner everyone will be eager to get out in the garden to enjoy whatever amount of sun decides to shine. But for the majority of us the previously gloomy seasons may have seen our gardens deteriorate. So what can be done in such a short space of time to get the garden ready and appealing? Not all of us are green fingered but getting the grass cut would be a great place to start, it makes a huge difference and gets the place looking far tidier very quickly. Planting colourful flowers is great and visually appealing but it’s time consuming, there are other ways to provide colour and reduce maintenance. Those hardy evergreens which stay green all year round planted into a colourful painted pot is perfect, a few of these dotted around and suddenly the garden is looking brighter and more alive. As you will be spending time out there you will want garden furniture to accommodate yourself and any guests. Tables, chairs and benches are available in may different styles and colours. Pick some which fit the look of your garden and home. With your garden starting to really take shape you’ll intend and be inclined to spend a lot of time in it, so as the nights get warmer and clearer why should its beauty hide in the darkness and force you inside? Compliment it with lighting. 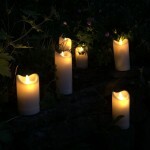 There are many ways in which you can light your garden, some requiring more work than others. If you have the time then wired fittings such as post lights and wall lanterns are an option and will work all year round. 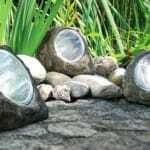 However if in this case you need things done sharpish then there are plenty of solar lights available which are ideal for the summer months. 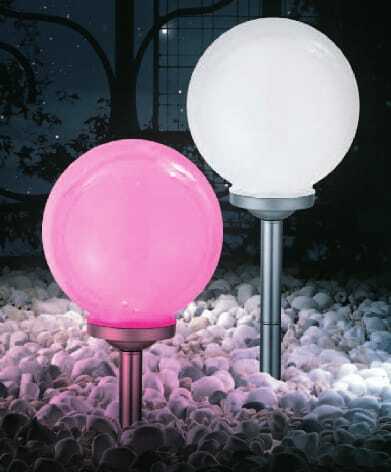 Spike lights – These are as simple as it gets, find a soft area such as a soil or grass patch and stick it in. Job done. They come in many variations from colourful and fun to decorative and functional. 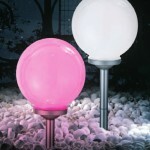 These are ideal for lighting along boundaries such as pathways. Wall mountable lights – The solar powered versions of wall mountable lights are easy to install, they usually just require two screws to hang on and to be switched on. They’ll then do the job of staying off in the light and coming on when it’s dark. These are great for fences and partitions. Hanging lights – These are perfect for decoration and accent lighting. They can be put onto tree branches, washing lines, fences or just about anywhere that there’s something to hook or drape onto. Normally these are colourful and if your garden is full of greenery rather than flowers then this can be an ideal compensation. Check out these great little solar bottles! 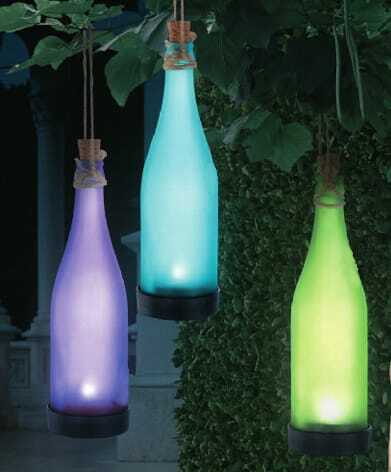 These solar bottles don’t have to be hung up either, you could simply pop them onto a table. There are also other designs which can do the same job. Take these LED candles for example, they’re incredibly realistic using electromagnetic technology to imitate flame movement and have an LED light to illuminate them. They are not weatherproof, however they will not be a safety risk as they are battery operated – you will need to cover them in wet weather but this can be quite effective and appealing if done correctly. Use of a glass dome or lantern would be ideal. Of course in the dry summer months taking some of these outside with you is fine, just remember to take them back inside with you if they’re uncovered. Uplighting is an extremely effective way to light your garden and is ideal for bringing attention to features such as plants, bushes, trees or ornaments. There are of course wired lights which will do this job brilliantly all year round but as a quick fix there are solar options available in different designs. 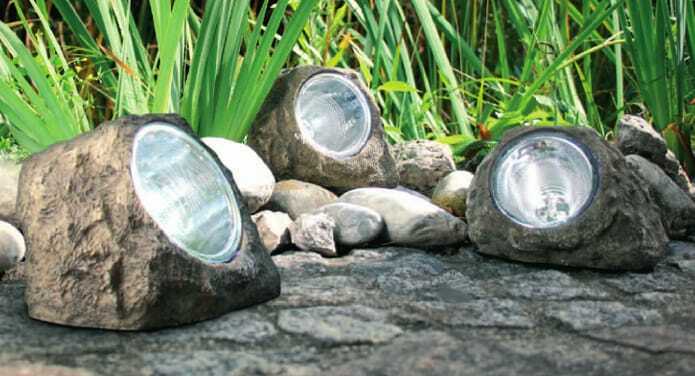 Take the image on the right for example, it is designed to look like a rock so it is perfectly disguised day or night and has upward angled LED’s entirely solar powered. There are also table and floor lamps that are suitable for use outdoors, these however are normally plug in and require an outdoor safe wall socket. These provide a very good level of light which is great for things like barbecues. Of course during the summer months things are normally very dry and people often use an extension lead from their house in order to plug in any table or floor lamp they wish. However in the interest of safety if a weatherproof option is feasible it should be taken, the last thing you want is a spillage which cases injury to yourself or your guests! Once you’ve illuminated your garden then the finishing touch is done, your garden has been prepped for summer quickly and effectively! The only thing left to do is enjoy it, so invite the group round and prep the BBQ or sit back quietly with a cold drink! ← Previous Previous post: Best Style of Ceiling Lights for your home?